Oh Happy Day is run by Jordan! She does letterpress and party planning and is Ah-Mazing!!!! Seriously! 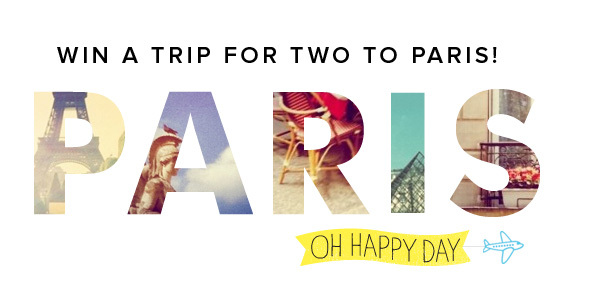 And now to top it all off – she is doing a give away for a trip to PARIS – yes, France! Check it out!!!!! I couldn’t pass this one by, cause it is definitely a Fabulous Find! In fact – I’m posting it a whole day early cause I don’t want anyone to miss out!!! See all the details here!